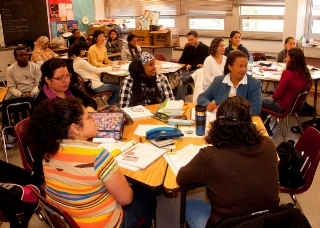 On Tuesday nights from 7-9 pm we offer free English classes to the community. There is no charge for tuition; however, there is a charge for textbooks, which students get to keep. You can click here or on the image below for the printable form to bring to registration. The classes begin September 25th and last through May 21st. You can view the entire class schedule by clicking here or on the image below.